The following are examples of phishing attempts received by Troy University students and employees. Visitors may learn more about phishing on our Security page. Several different phishing messages have been sent to Troy University e-mail addresses. Examples include subjects of Important Alert from Troy University Admin and IT service: Email address changed successfully. Similar messages may include varying subjects and content. If you responded to the messages, opened an attachment, or if you clicked a link and provided any data please place a helpdesk ticket immediately at https://splash.troy.edu/go-to/helpdesk/index.html. Several different phishing messages have been sent to Troy University e-mail addresses. Examples include subjects of Important Alert from Troy University Admin and HELP DESK NOTICE - Server Updates. Similar messages may include varying subjects and content. 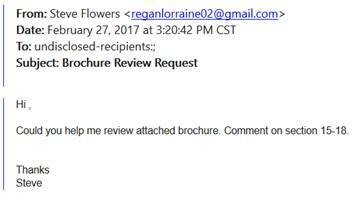 The email message below with the subject –Brochure Review Request” is an attempt to compromise or infect your TROY accounts and devices. 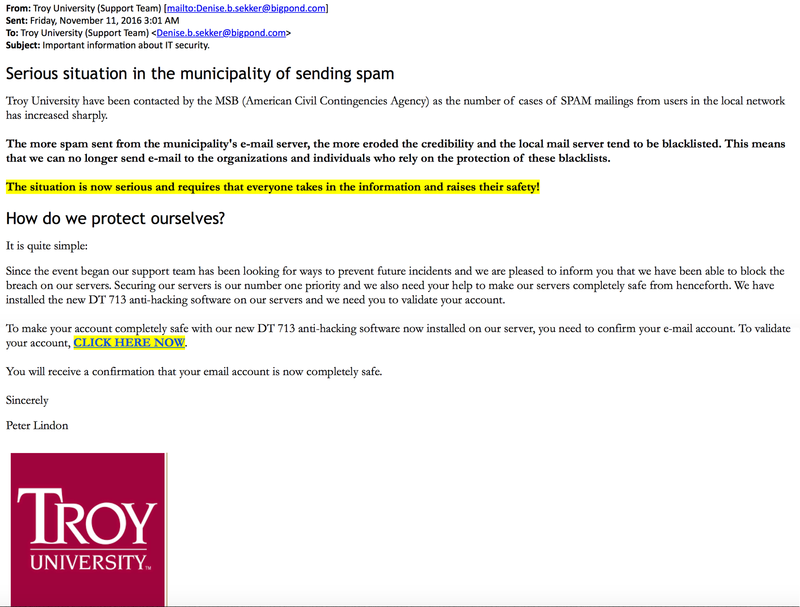 If you responded to the message, opened the attachment, or if you clicked the link and provided any data please place a helpdesk ticket immediately at https://splash.troy.edu/go-to/helpdesk/index.html. 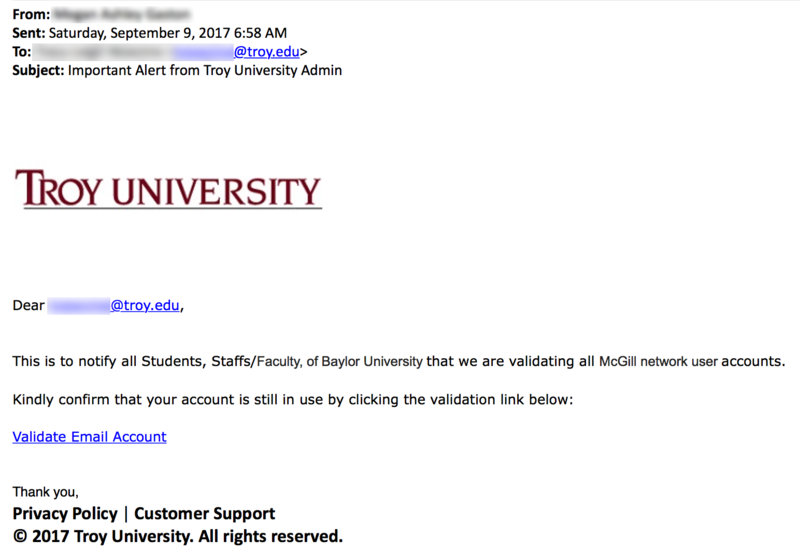 The email message below with the subject –IT Support Team” suggest that Troy University IT requires verification of email accounts and resetting of passwords. 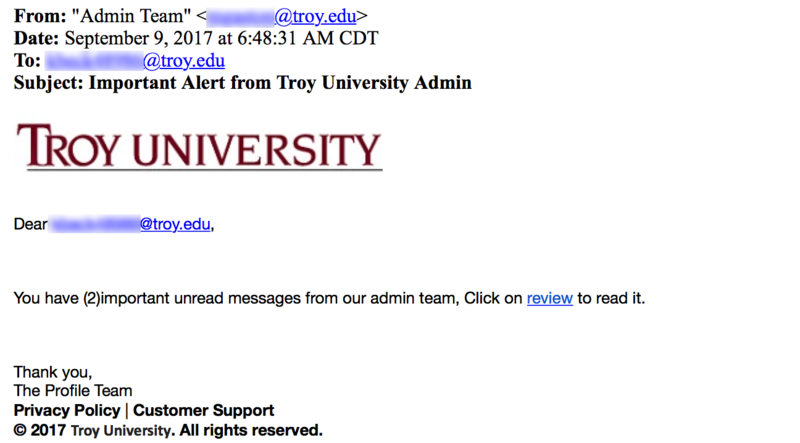 Troy University IT does not request credentials or password resets via the mechanisms offered in the phishing attempts. If you responded to the message, or if you clicked the link and provided any data. Please place a helpdesk ticket immediately at https://splash.troy.edu/go-to/helpdesk/index.html. The email message below with the subject –Email Deactivation” suggest that Troy University IT requires verification of email accounts and resetting of passwords. 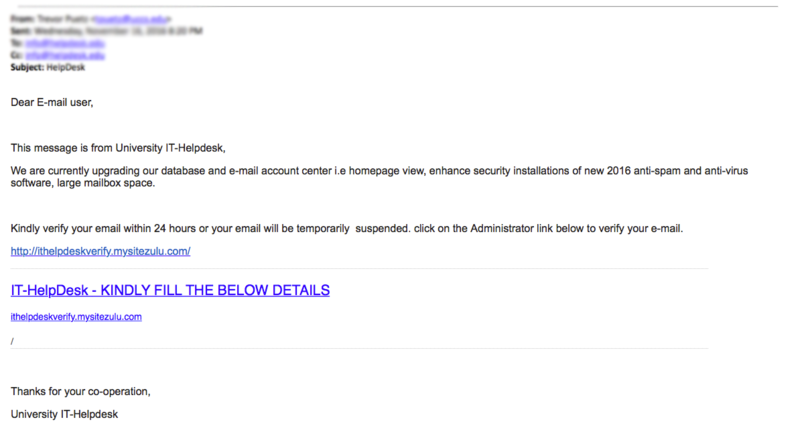 This email had a PDF attachment with an dishonest link to a phishing site. If you responded to the message, opened the attachment, or if you clicked the link and provided any data. Please place a helpdesk ticket immediately at https://splash.troy.edu/go-to/helpdesk/index.html.